DPM is designed to be installed on servers that are running Windows Server 2008 R2 or Windows Server 2008. Remark: The DPM must be installed on a computer running the 64-bit version. DPM is the new standard for Windows backup and recovery – delivering seamless data protection for Microsoft application and file servers by using integrated disk and tape media. File data from volumes shares, and folders. 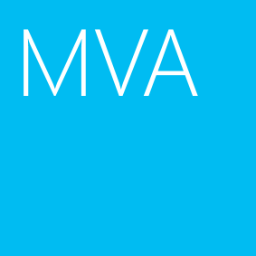 Application data, such as Microsoft Exchange Mailbox Database, Microsoft SQL Server databases, Windows SharePoint Services farms, and Microsoft Virtual Server and its virtual machines. File for workstations running Windows XP Professional SP2 and all Windows Vista except Home. Remark: DPM could not be installed on which the Application role is installed, the Exchange Server. a node of cluster and System Center Operations Manager Server. It could only be installed on a Single-Purpose server used solely as a backup server. 1. At the server, log in as Domain Administrator. 2. Insert the DPM 2010 x64 DVD. 3. Click "Install Data Protection Manager". 4. Check "I accept the license terms and conditions", click "OK". 6. After prerequisites check, click "Next". Remark: At DPM 2010, it will install "Single Instance Store Filter"﻿ automatically for Windows Server 2008 R2. 9. At the server, run the DPM 2010 "Setup.exe" again. 10. 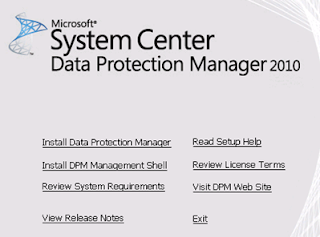 Click "Install Data Protection Manager". 11. Check "I accept the license terms and conditions", click "OK". 13. After prerequisites check, click "Next". 14. Fill in the user name and company, click "Next". 15. Select "Use the dedicated MSDPM2010 instance of SQL Server...". Remark: At production environments, using SQL server 2008 standard or enterprise is better. 17. Provide a password for SQL server, click "Next". 18. Select "I do not want to use Microsoft Update", click "Next". 19. Select "No, remind me later", click "Next". 20. Click "Install". The installation may take 20 minutes to finish. 21. When the installation finished,﻿ click "Close". Success!! I've been looking everywhere for a page that has the "play by play" of what I should do exactly (the prt sc are a nice touch by the way!). Thank you thank you thank you!